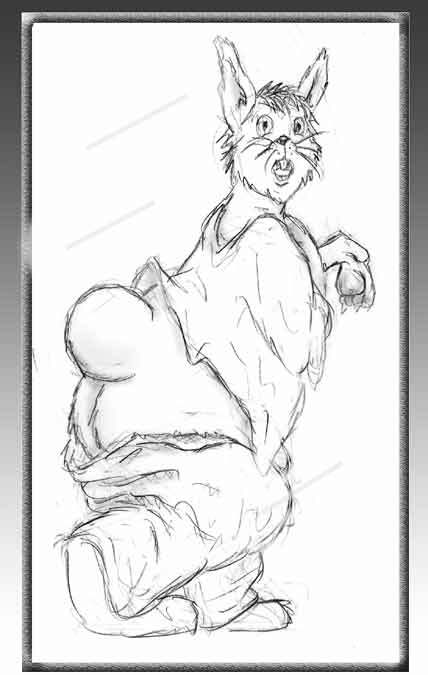 Now you can relish a human-to-rabbit metamorphosis, one of Circe's favorite transformations, in greater detail than you ever dreamed possible! 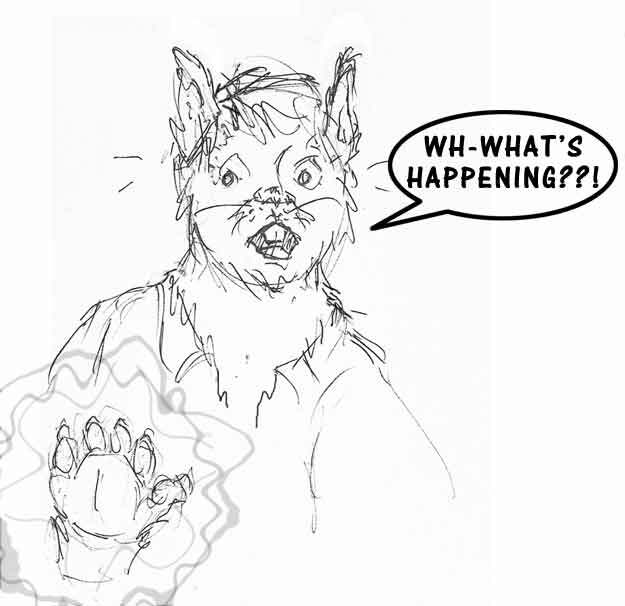 Imagine being able to observe - or experience - ears stretching out ever-so-slowly... whiskers growing longer millimeter by millimeter... a soft 'n fluffy cottontail gradually expanding to volleyball size... and that white fur pelt blossoming one strand at a time! 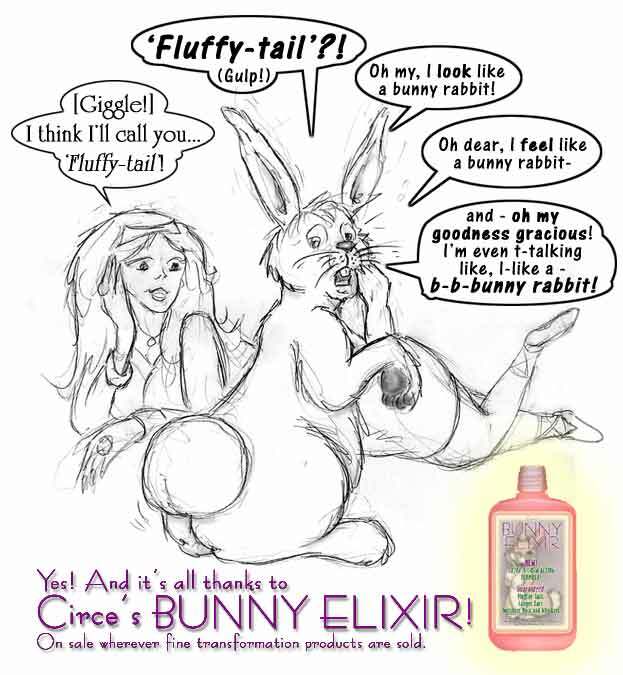 Circe's new Extra-Slow Bunny Elixir is guaranteed to turn eager - or unsuspecting - volunteers into hippity-hoppity happy hares slower and more stylishly than ever before! 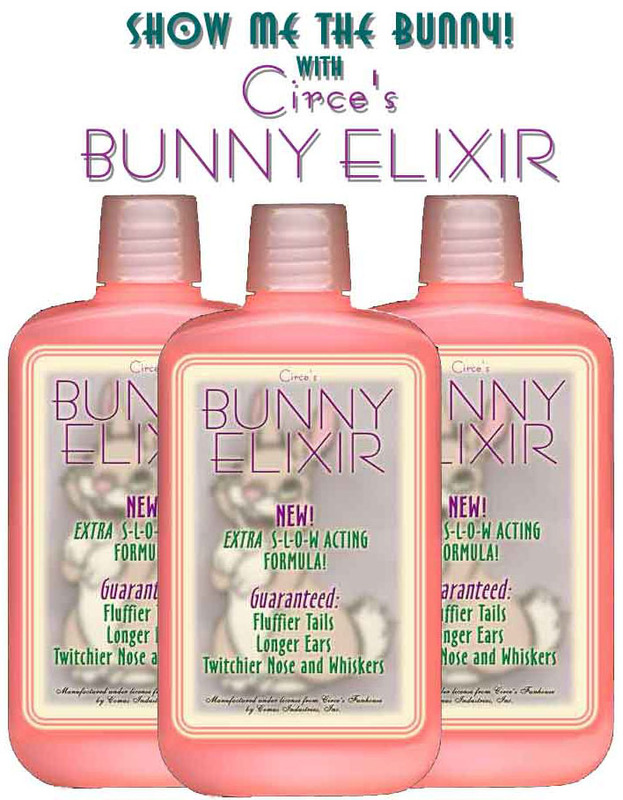 If you're not 100% satisfied and/or 100% transformed, return unused portion of your purchase to Circe's Funhouse for a full refund. 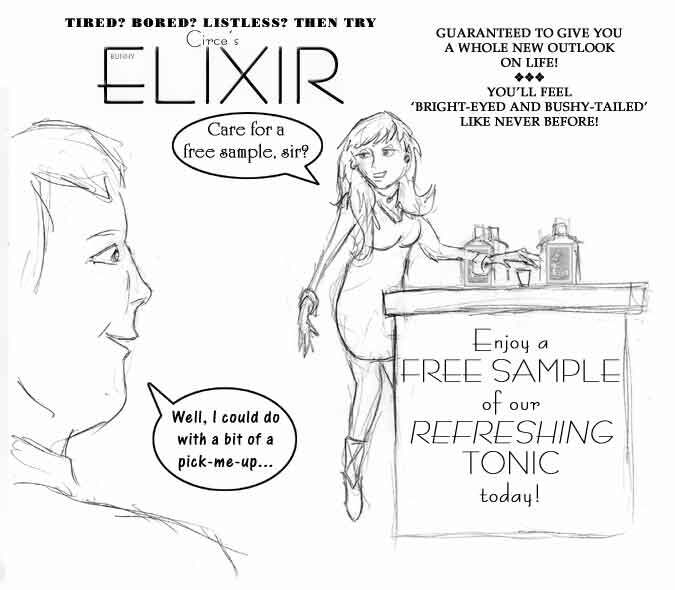 Still Available in Regular and Instantaneous Speed Formulas. 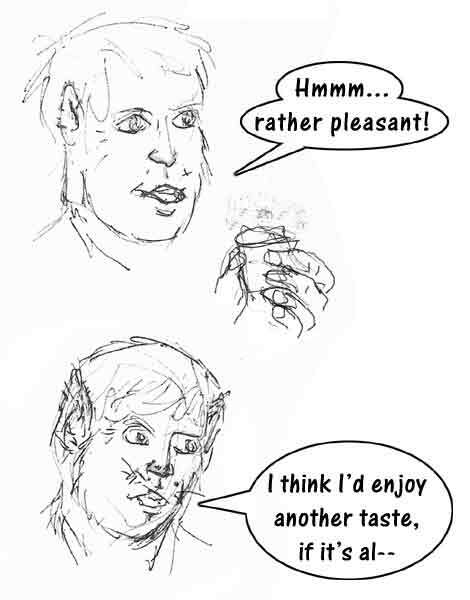 In Thirty Day, Six Month and Year-Long Strength!